In nearly every classic animated Disney film, a young character is separated from his family, often under tragic circumstances, and has to endure an heroic journey to reunite with his loved ones -- such as the plucky clownfish from Finding Nemo. The wildly popular Pixar computer-animated movie is the inspiration for the high-profile ride that debuted in 2007 at Disneyland. Read my review of Finding Nemo Submarine Voyage . Well, Disneyland didn't debut as a new ride, exactly. Disney's Imagineers, the creative wizards that develop the company's parks and attractions, added a "Finding Nemo" overlay to the classic Submarine Voyage, a beloved ride that opened in 1959. And almost sank for good in 1998. The Submarine Voyage ride itself is like the main character in a Disney movie. At one time it was a shining beacon of Disneyland -- the park's first actual E-Ticket ride, in fact. After years of indifference, however, it was shunned and nearly left for dead. Incredibly, the evil villain in this Disney melodrama was the Disney company itself. Wallowing at the time in a bottom-line mentality that embraced corporate profits over creative integrity, Disney played the big, bad daddy by pulling the plug on its child. Citing high maintenance costs for the subs, it decommissioned them --literally-- and left an empty lagoon and a gaping hole in Disneyland's attraction mix. Thankfully, this story has a happy Hollywood (OK, Anaheim) ending. Another major character in the Submarine Voyage saga is Tony Baxter. As a young boy growing up in Southern California, he was a frequent Disneyland visitor who loved the sub ride and ended up as the white knight who helped save it from certain death. I sat down with Baxter, now senior vice president, creative development at Walt Disney Imagineering, in early 2007 to learn about his long and intrigue-filled voyage with the submarine attraction. Baxter, it turns out, is as plucky as Nemo. While he rode and adored Disneyland's Submarine Voyage as a child, it was during the summer of 1969 that Baxter really began developing his fervent stewardship of the attraction. As a teenager, the avowed Disney geek got a job at the park that eventually led him to a ride operator position for the subs. Nearly forty years later, he can still recite the pre-ride spiel without missing a beat. "General Dynamics, builders of the Nautilus welcomes you aboard...." He worked at Disneyland for five years. Immediately after college, Baxter returned to the Mouse by way of Walt Disney Imagineering. As fate would have it, his first assignment as an Imagineer was to help install the 20,000 Leagues Under the Sea submarine attraction at Walt Disney World's Magic Kingdom in Florida. "They knew I had worked on the California ride," he says. "The field experience gave me a good sense of what we could do at Imagineering." Foreshadowing the hard times both submarine attractions would face, Baxter says that he was often called in to help repair the Florida ride. "The caustic nature of maintaining anything that's kept under water can be very demanding," he notes. And expensive. For example, Baxter says that instead of standard maintenance and repair crews, the parks had to use trained divers. Walt Disney World's sub ride opened soon after the Magic Kingdom park debuted in 1971. It closed in 1994. Although nothing has replaced it, 20,000 Leagues' fate was sealed when the Florida park filled in and paved over its sub lagoon. [Update: The park has since expanded Fantasyland and incorporated the land which the sub ride used to occupy.] When the cost-cutters set their periscopes on California and closed its sub ride a few years later, they at least left a glimmer of hope by leaving the lagoon intact. Why, however, did Disney want to sink either of the popular attractions? Back in the days when the Disney parks used ticket books, Baxter says that each attraction had direct, attributable revenue. The expense to operate and maintain a ride could be balanced against the income it generated in ticket sales. Since an E-Ticket attraction like the Submarine Voyage brought in beaucoup bucks, its high cost of operation could be justified. Once Disney switched over to a pay-one-price format, however, the perception changed. There wasn't a clear revenue impact from any one attraction, and a high-maintenance ride like the subs could be viewed as an expense drain. According to Baxter, the Submarine Voyage suffered during a difficult period when the company worshiped at the altar of maximized profits. Michael Eisner, who was Disney's CEO at the time, had been the company's savior at the start of his tenure, but had seen his halo fade when its fortunes started to falter. Eisner appointed Paul Pressler as Disneyland's president in the mid-1990's. With an intense (some might say ruthless) focus on trimming expenses and wringing profits, Pressler slashed the subs' maintenance budget. That led to its slow, sad decline. With little support and the Florida fleet gone, the Submarine Voyage's days were numbered. The ride closed in September 1998. Baxter says he has vivid memories of the infamous day. With a flourish of pomp (even if the circumstances were difficult), Disneyland brought in a military band and an admiral to officially decommission the boats. Pressler cornered Baxter, told him that he thought the event was exciting, and wanted to know whether he felt the same way. "I said, 'I'm sorry. This is one of the worst days of my life.' "
During its final day of operation, Baxter overheard a wide-eyed little girl ask her father whether the subs' mermaids were real. He says that he realized the attraction was still working despite its 1950s vintage and shoddy maintenance. Baxter stayed at the Submarine Voyage the entire day and rode the last boat. As it docked, he vowed, with a hint of Scarlett O'Hara, that tomorrow would be another day for the forsaken ride. "I decided then and there that, as long as I'm still working for this company, (the subs) would open again." What fueled Baxter's passion for the subs in the face of such adversity? Surely, his childhood memories planted the seed, and his years as a ride operator cemented his allegiance. But there is more behind his evangelical fervor. Baxter says that he used to cite three rides that he felt formed the park's triangle and best exemplified Disneyland's diversity and unique appeal: visiting with a president and hearing the inspirational presentation of Great Moments with Mr. Lincoln (which has had its own difficulties; closed as of 2007, Disney has said that the attraction would reopen), soaring on Dumbo the Flying Elephant, and journeying beneath the polar ice cap on the Submarine Voyage. "The more it comes down to roller coasters, the more 'normal' Disneyland becomes," Baxter says. "I think the subs are critical to (the park's) health." Once closed and no longer maintained, the health of the orphan ride deteriorated even more rapidly. Baxter watched and waited for an opportunity to resuscitate the subs. In 2001, Disney's animated film, Atlantis: The Lost Empire provided a false start. Based on the mythical underwater city, the movie offered an obvious tie-in for a re-imagined ride. Baxter's team developed a mockup attraction. Then the film was released. The less-than-enthusiastic box office killed the ride project. The following year, hopes were raised and dashed again when the animated movie Treasure Planet, based on the classic novel, Treasure Island, offered another possible theme for a revived ride, but failed to add much treasure to Disney's chest. Four years after it closed, it seemed that the ride's subs might remain in dry dock forever. Then a series of events converged, a perfect storm of sorts, to get the subs back into the lagoon. The special effects folks at Imagineering developed a groundbreaking projection technology that "everybody absolutely flipped for," says Baxter. It set the stage to incorporate animated characters into an "underwater" environment. Around the same time, another gestating sub-worthy movie, Finding Nemo, appeared to have great potential. And Matt Ouimet brought a more open mind -- and checkbook -- to his role as Disneyland's president than his predecessors, Pressler and Cynthia Harriss. When Nemo took the world by storm after its release in 2003, the Imagineers relit the smoking lamps and fired up the Nautilus engines in earnest to bring the subs back. "At that point, I was savvy about the way things worked in the Internet era," says Baxter. (Hey! What does he mean by that?) He had a team build a Nemo-adorned sub and placed it by the lagoon at Disneyland where anyone riding the monorail could see it. "I knew it would get buzz," Baxter says with a laugh. "And it did get buzz." Disney management got excited about the interest Baxter's stunt had generated. To keep the momentum building, the Imagineers created a mockup that included the new projection technology and staged a presentation for Ouimet. 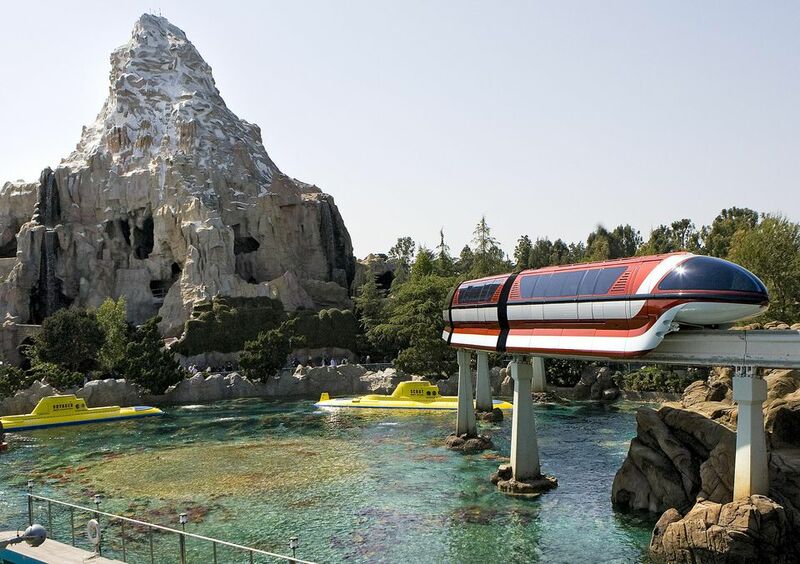 "I really didn't want to like this," the Disneyland president said after experiencing the sub demonstration, according to Baxter. "It's fantastic...but, it's going to be SO expensive." With a mostly new regime of powers that be, the Nemo-enhanced subs got the green light. It was the first major theme park project for Disney CEO, Bob Iger. It was also the first major project for John Lasseter in his position as Imagineering's creative advisor. Lasseter heads Pixar's creative department as well and was the executive producer of, yep, Finding Nemo. And it has been, by all accounts, an unabashed success for everyone involved -- including Baxter. "Compared to where we were in 1998, when we had a company that could hardly wait to close (the subs) down, it's been especially exciting to me to see the commitment and support," he says. The resulting attraction is a joy for both baby boomers like Baxter who grew up with the classic ride and today's kids who are fully conversant in all things Nemo. It embraces the original subs' charm and utterly unique storytelling mode, while it incorporates a highly sophisticated dose of 21st-century razzle-dazzle. "I've come full circle," Baxter says, as the subs are back circling Disneyland's waters. Nine years after he attended the grim decommissioning ceremony, Baxter was back at the lagoon to help recommission the subs. It's likely that he can be found aboard the ride from time to time, inevitably sporting a huge grin as he overhears some wide-eyed child ask his parent whether the fishes swimming outside the portholes are real. How to Have a Fantastic Disneyland Experience at Fantasmic!